Contact Trust Auto today for information on dozens of vehicles like this 2012 Nissan Altima 4-Door Sedan w/ Navigation & Backup Camera. CARFAX BuyBack Guarantee is reassurance that any major issues with this vehicle will show on CARFAX report. This vehicle was engineered to be both economically and environmentally friendly with exceptional fuel efficiency. This vehicle has extremely low mileage on the odometer, so while it's pre-owned, it's practically new. How often was the oil changed? Were important service intervals taken care of? You'll have the records on this vehicles to know for sure. 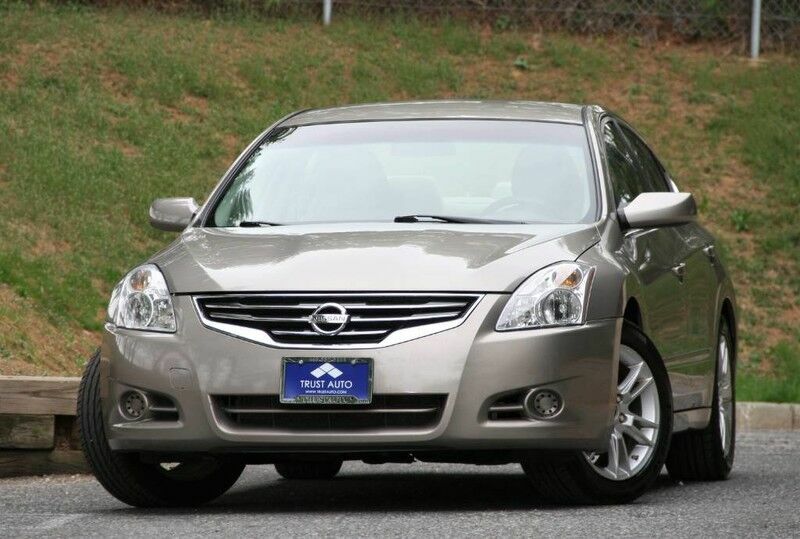 This Nissan Altima 2.5 S is in great condition both inside and out. No abnormal "wear and tear". Find the quickest driving route in this Nissan Altima 2.5 S using the installed navigation system. This nav system is one of the easiest to use and will help get you where you need to go quickly! Searching for a vehicle shouldn't mean that you have to buy one with flat, bald, and outdated tires. In the case of this 2012 Nissan, the tires have been recently replaced and show to have good tread. More information about the 2012 Nissan Altima: The Altima remains a very competitive mid-size sedans, but also one of the sportiest. Its rear seat and trunk are spacious enough for no-compromises family use. Gas mileage with the 4-cylinder engine is very impressive, while the refined V6 provides surprising performance. Shoppers might also appreciate that the Altima Sedan and coupe models are assembled in the U.S. This model sets itself apart with strong, refined V6, roomy trunk and back seat, manufactured in the U.S., Sporty handling, and gas mileage from the 4-cylinder *30 DAYS / 1000 MILES POWER-TRAIN WARRANTY INCLUDED (ENGINE, TRANSMISSION, DIFFERENTIALS)* *TRADE INS ARE WELCOME* Trust Auto is one of the top pre-owned vehicle dealer in Maryland. We provide quality vehicles of various makes and models with the most competitive prices in the region. Trust Auto is dedicated to make your vehicle shopping experience hassle free and straight forward. With that in mind we fully inspect, service and detail all cars in the lot. We are open 6 days a week now FOR YOU!!! Monday - Saturday 9am - 7pm. Some vehicle information and pricing may be unintentionally missing or inaccurate, and Trust Auto will endeavor to correct such discrepancies in a commercially reasonable manner after being notified of any errors. Pricing errors and listing errors are considered invalid and may not be honored at the sole discretion of Trust Auto. Prices subject to change without notice and do not include Title, License, Registration Fees, State or Local Taxes, $895 PDI & $299 Dealer Processing Fees. Please contact seller for vehicle availability. All vehicles with PDI are sold with a 30 day / 1,000 mile warranty! EPA mileage estimates are provided for comparison purposes only. Actual mileage may vary depending on driving conditions, driving habits, and vehicle maintenance. Mileage listings are estimates and are not necessarily accurate odometer readings.